Essence of Wild Sage is made with only deep underground source springwaters that reside in the mineral and nutrient rich rock and soil. These liquid are quickly activated in the body because of the important oxygenated compounds. These are the result of a special process using only steam-extracted, wild, mountain-grown sage. 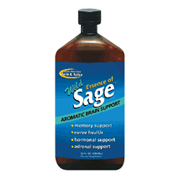 Essence of Wild Sage is shipped in a discrete, unmarked package. Orders are processed immediately and usually take about 3 to 5 working days to be received. We do ask that you try it for 2 to 3 weeks to feel the full effects. Any information received is used only for order processing and shipping purposes. Your information, such as e-mail address, will never be disclosed to a third party.